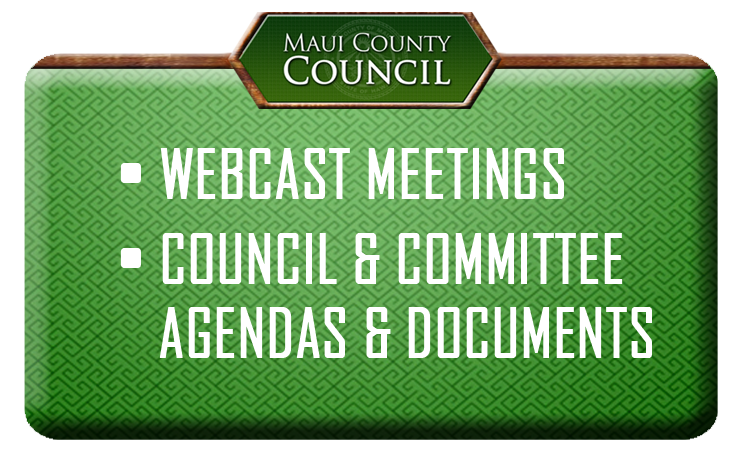 Affordable Housing Committee meetings are held in the Council Chamber at 1:30 p.m. on the Wednesday prior to the first and third Fridays of each month; however, the schedule is subject to change. Affordable or residential workforce housing programs, including expedited approvals of housing projects pursuant to Chapter 201H, Hawaii Revised Statutes, or any successor statute, and related district boundary amendments. Amendments to the Residential Workforce Housing Policy and other affordable housing ordinances. Homeless programs and related matters. Proposals for increasing the availability or affordability of housing. Operations and performance audits of the Department of Housing and Human Concerns, Housing Division, including the operational oversight of any grants it administers. Implementation of the following General Plan objective: Expand Housing Opportunities for Residents.